Every morning at 6:00 am, Sam gets up to light the fire. Husband Jason prepares breakfast and gets their three sons washed and dressed for the day. For most people, these are simple tasks. 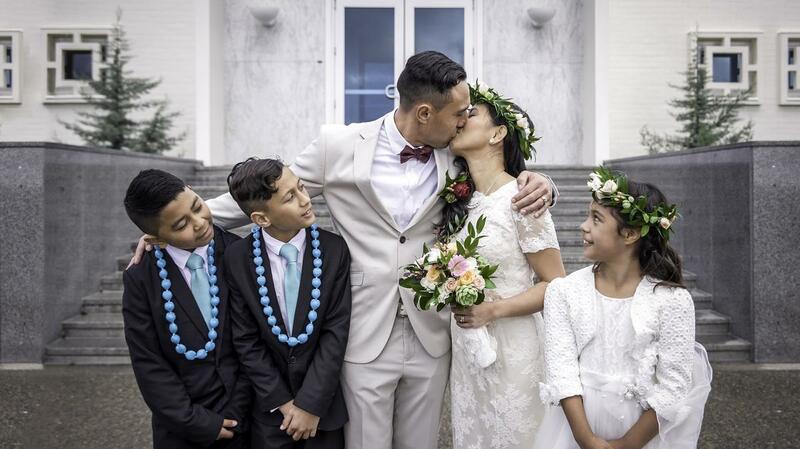 But for husband and wife Jason and Sam Tamatea, it’s not that easy. Jason and Sam are both blind. Sam lost her sight when she was two from contracting meningitis. 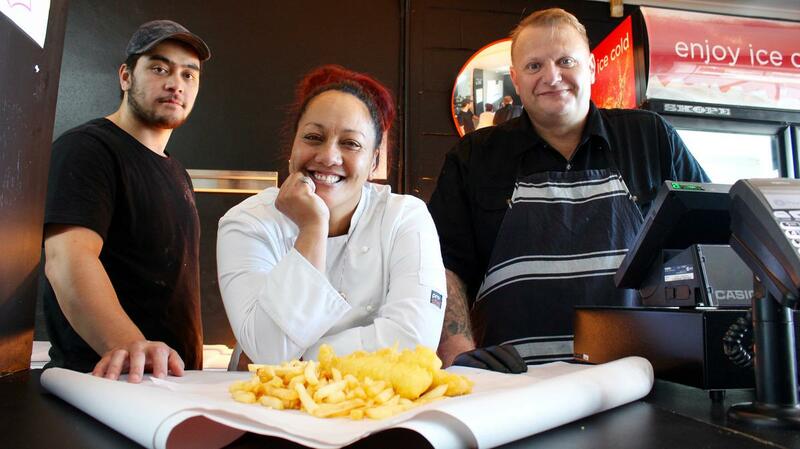 She grew up in Auckland and her young parents “did their best”. Jason was born with a condition where he can see colours, but can’t be outside in the sun for too long or it will strain his eyes. Being visually impaired means Jason and Sam are unable to drive a car to places like the grocery store. “I have to rely on my hearing,” Sam said. Life changed for the small family around five years ago when a “mystery man” named Tony parked his truck outside their house in the small, coastal area of Gisborne. He was there to sell goods from the back of his business truck. But Jason and Sam had a feeling he was there for a different reason. “We told him, ‘nah not interested’,” Sam said. The couple only saw Tony once after that day. But that invitation from a kind stranger was the beginning of a new life. Jason and Sam had been “praying” to find a Church when they first moved to the small town. Sam said, the Latter-day Saint Church “was the last Church we would have chosen” because she was raised in a different religion. The family wanted to attend Church but there was one problem- they couldn’t drive. “We relied on the support of members,” Sam said. 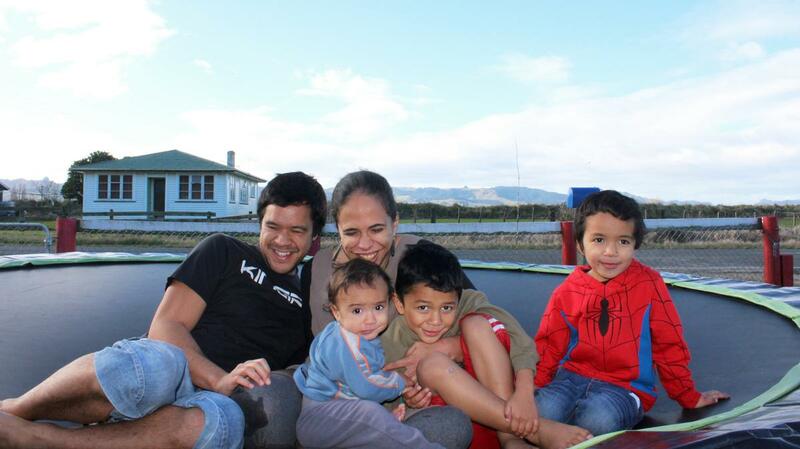 For the next five years, members of the Manutuke Branch would pick up the Tamatea family and take them to Church. “The members strengthened my testimony and now inspire our family to serve. I’m so grateful for the members who would rally around us and bring what we need like food and wood. Different members will take our whole family to Church every week,” Sam said. But it was turning to their Braille Book of Mormon after a power cut that helped convert Jason and Sam to the gospel. “There was no electricity and we were going through a rough patch,” Jason said. “We remember the missionaries gave us a Book of Mormon. They said just read it and pray about it. We read in 1 Nephi 20:21 where the Lord caused the water to flow out of the rock for them. The couple were baptised in October 2013 and a year later they were sealed in the Hamilton New Zealand Temple. “There are times I’ll be walking alone, and I’ll be praying to God, ‘which way should I go?’ Sam said. “He's never let me down. I mean, I can even light a fire! Some people ask if I’m scared of being burnt but I just say, no why would I be scared? Sam is currently studying social work, she’s hoping to make a difference in the Māori health sector. Jason loves being a stay at home dad. And since joining the Church, he has baptised four of his family and friends. “The blessings of the gospel are immeasurable,” Jason said. “There was happiness before joining the Church... but there is a huge different between the happiness then and the joy we feel now. We are trying our best as a young family to raise our children in the gospel. “I might not be able to serve exactly as they do, but sometimes I might invite someone for lunch or take milk over for our neighbour. It’s all about listening to the Spirit,” Sam said. Manutuke Branch President Parekura Brown met the couple when he served a mission with his wife in 2013. He said the Tamateas are a great example to others. “We go to Church with our problems and Sam and Jason are there, and we realise our little issues aren’t as big as what they go through. They’re both blind and they think the world is beautiful. They really count their blessings. Jason and Sam are grateful to know that because of the gospel, one day they will “see again”. Three years ago, Tum Puhi was in a prison cell and with no contact with his two children.